Product Description:We offer Tandoor Jali with self Locking Grooves which helps in saving Liquid Petrolium Gas ( LPG) .It convers Blue flame to Red flame.Chhota tandoor self Locking Grooves gets locked with any grill & doesn't skid. 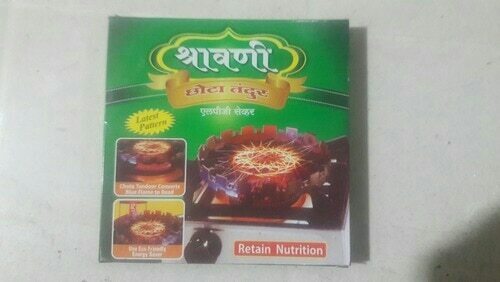 It is a mini tandoor which roats papad,baingan,chiken etc Features • Fits all gas hobs. • Burns gas more efficiently. • Stainless steel is dishwasher saver. • Easy to use.